Yesterday, NBA legend Shaquille O’Neal announced using Twitter and a relatively new video sharing service called Tout that he was retiring from professional basketball. Of course, like all other fans of surreal post-game interviews, the team at Ranker was saddened by this news. But we were also delighted to scour the Internet for some of the highlights of Shaq’s long and storied NBA career. The result was this list of Shaq’s Career Highlight Videos and Greatest Moments. 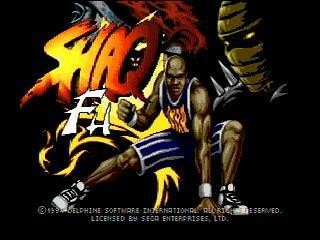 Yes, “Shaq Fu” made the list. Weren’t you paying attention when I just described what it was about? Compiling one list of 20 items to sum up Shaq’s massive influence on not just sports but pop culture was a challenge. Where to focus first? His bevy of creative nicknames? (Did anyone ever actually call him “Dr. Shaq,” we wonder?) His brief but memorable success as a hip-hop artist? That movie he made with the kid and the magic jukebox? That’s where you come in. Check out the “Shaq’s Greatest Moments” list, and vote for your favorite videos. We’ll reorder the list based on the Ranker community’s tastes. Because we know you got skillz.